Tartu’s new bike sharing system will consist of 600 to 800 rental bikes and 60 to 80 docks and stations throughout the city. The aim is to integrate bike sharing into the public transportation system of Tartu to form a functional, complementary whole. 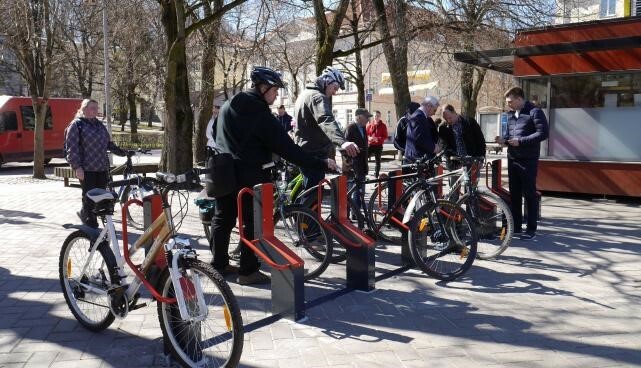 The international tender for finding bicycles for Tartu bike sharing received four offers out of which three will present their assessments during public technology demos on 26th April, 2nd and 4th May. The international tender for finding bicycles for Tartu bike sharing received four offers: From Titanium Partners, Next Bike and Smoove ja Bewegen. Out of the four, the last three qualified. All offers ranged from 2.1 to 2.8 million Euros. The city will not be disclosing whose offer was the lowest as the tenders have not yet been evaluated by experts. The experts will present their assessments during public technology demos that will take place on 26 April, 2 and 4 May. On 26 April at 9 AM, Smoove (France) will be presenting their solution and technology at the City Hall. The slide presentation will be followed by a technology demo (the bicycle and dock) at 10.30 AM. On Wednesday, 2 May, Next Bike (Germany) will be presenting and on 4 May, Bewegen (Canada). Both presentations will begin at 9 AM (Raekoja square 3) and the demos at 10.30 AM. If the weather permits, the demos will take place outside at town hall square. The City hopes to announce the winner of the tender by the end of May. After signing a contract with the tenderer, a new tender for finding an operator for the bike sharing system will be announced. The whole system should become operational by spring next year the latest. The bike sharing system is funded by Tartu City, EU structural fund project for Tartu bike sharing and the H2020 project SmartEnCity. More information: Tartu City Government project manager Jaanus Tamm, jaanus.tamm@raad.tartu.ee.